While this event has passed, you can read about the highlights by clicking here. 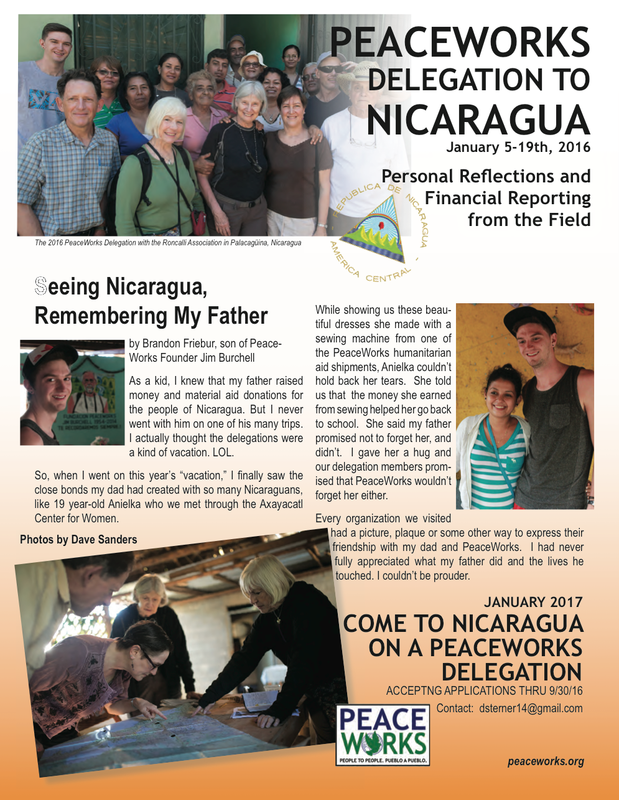 Year after year PeaceWorks connects with our local partners in Nicaragua. It is the foundation of our people to people, pueblo a pueblo work. But what does this actually involve? It includes traveling over magnificent landscapes and into tiny rural communities living on the fringe of survival. Exploring beyond the brilliant colors of city markets to visit children living in deplorable conditions. Hiking through mangrove forests to see, firsthand, environmental activism in action. But mostly, the work of people-to-people means listening to stories, building friendships and extending solidarity to those working on some of Nicaragua’s most difficult challenges. On March 10th, we want to extend this spirit of friendship and solidarity to you. 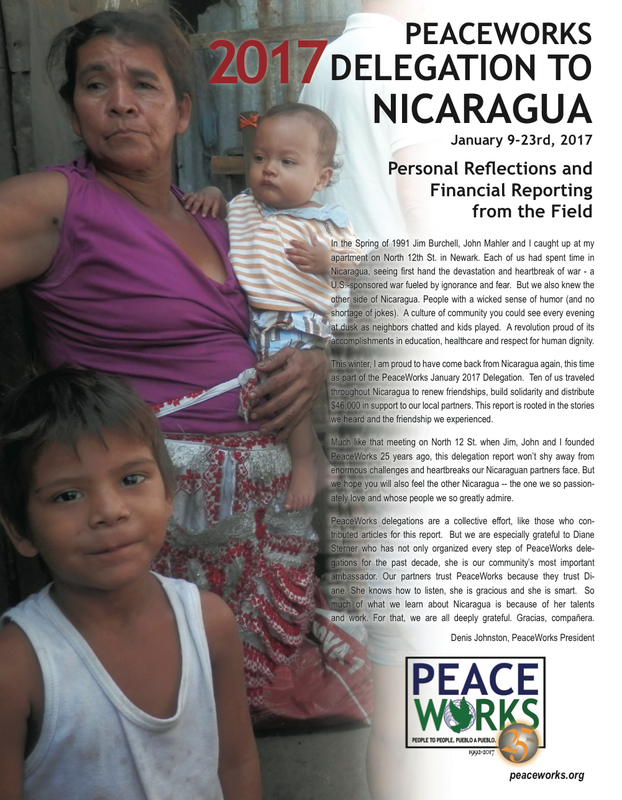 10 people from New Jersey and beyond will have just returned from a 12-day delegation to Nicaragua. 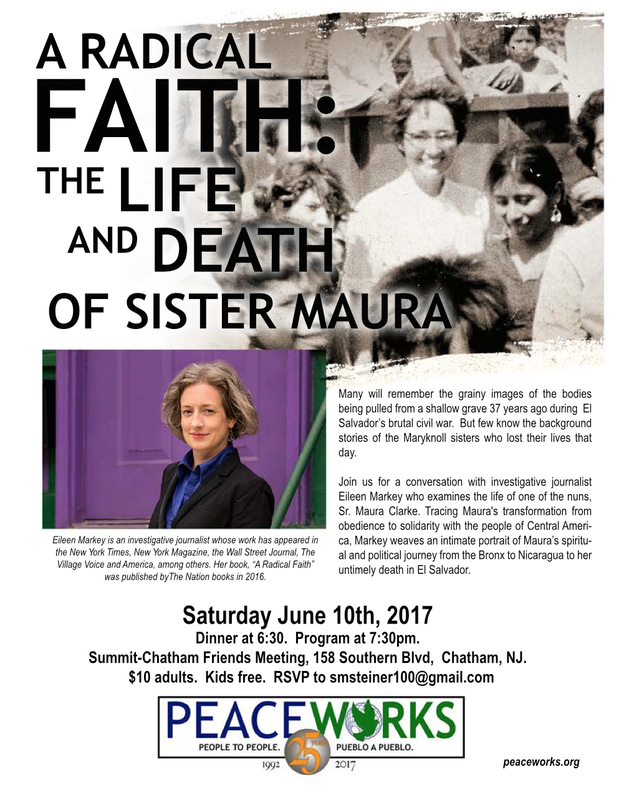 Come hear the stories they were told. See the places they visited. Hear how they distributed $87,000 in cash grants. See how the more than $200,000 in donations we raised last year are visibly making a difference in the lives of so many Nicaraguans. People to people. Pueblo a pueblo. New Jersey to Nicaragua. We hope you’ll join us for a delightful meal and good conversation on March 1oth.